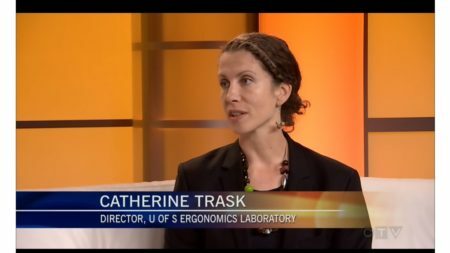 On Thursday I went downtown to the studio again to speak about the ongoing study Walking away from chronic low back pain, and how walking can help with low back pain. Since farmers may have decreased access to hands-on care, a self-management intervention like walking can be particularly useful to them. To view the segments, go to the Farmgate media site and pick the episode from October 29, 2016. My collegue Debra Morgan’s segment starts at 12:20; mine is at 14:30.